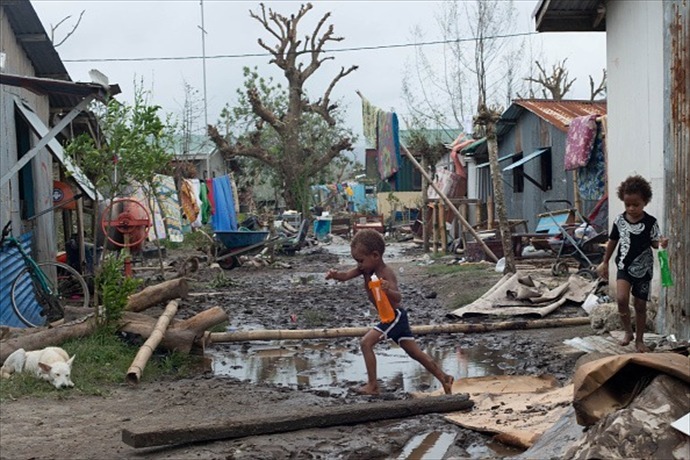 As many of you know, Vanuatu was flattened by Hurricane Pam on March 13. As an author, I took note of this article in the Christian Science Monitor, where relief forces are begging for books. I sympathize: those of you that have read my book will recognize a theme here, as in my book, Everything I Know About Zombies, I Learned in Kindergarten, young Letitia struggles to rebuild a life armed with little more than do-it-yourself books. So, recognizing this need, I make this pledge: 50% of all royalties my book receives from any source between now and April 30, 2015 will be donated to Vanuatu relief funds. Press a button below, buy a copy, and help a small nation recover from a real apocalypse.